The competition is part of the £3.9 billion UK Aerospace Research and Technology programme, which aims to secure the UK's world-leading position in civil aerospace. 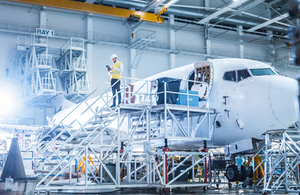 Projects must align with the aerospace technology strategy. Find out more about the strategic themes.